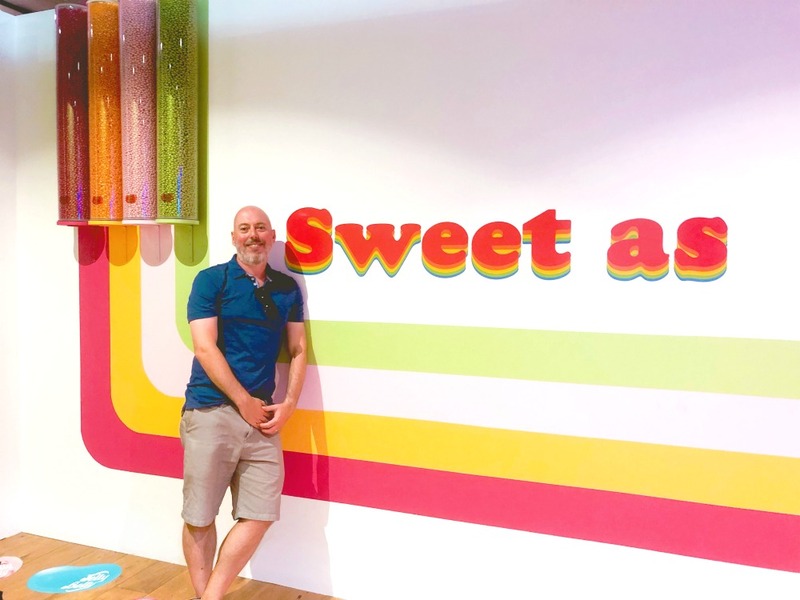 Having taken Melbourne and Brisbane by a giant candy storm last year, not only is Sugar Republic back in Melbourne (with no less than 12 brand new spaces,) Australia’s sweetest interactive experience has arrived in Sydney! We had an absolute ball at the Melbourne event last year and I am so excited about the Sydney event that I could jive with a jelly baby. 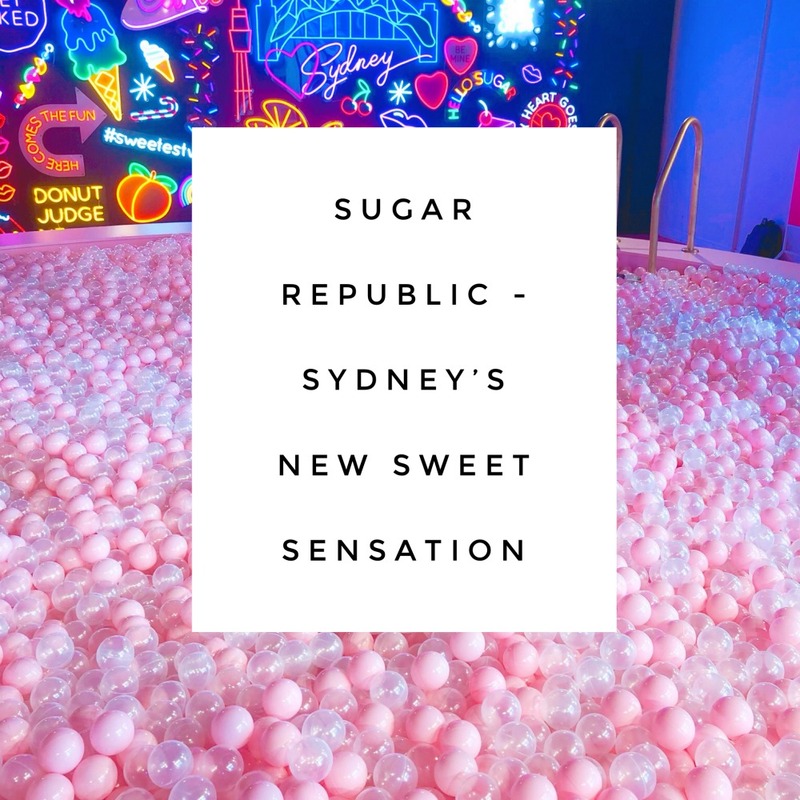 Last week we got the chance to have a sneak peek at Sugar Republic Sydney and I am pleased to report that the Sydney experience, located on the top floor of Myer Sydney City is the biggest and best yet. 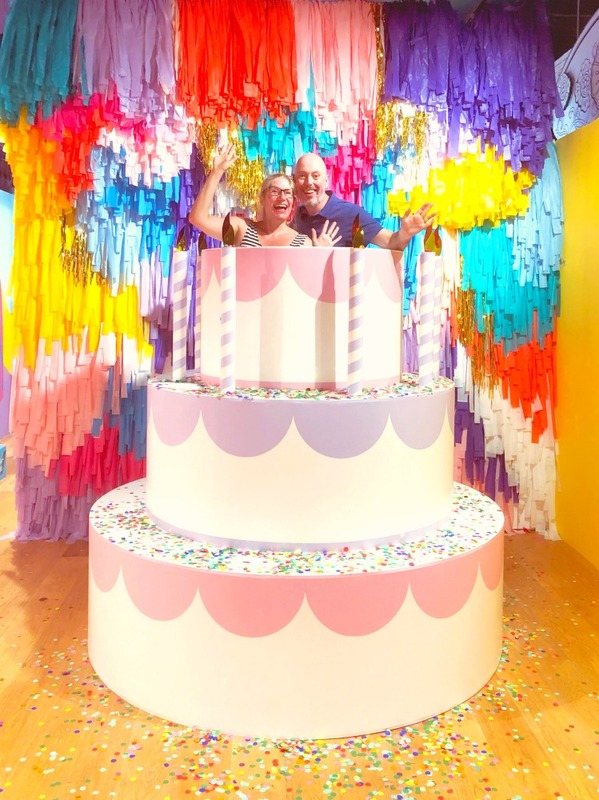 Sugar Republic is less museum, more immersive experience with the emphasis on “experience.” It’s a bright, colourful installation where you are reacquainted with your inner child, you can relive your childhood and all your sweet dreams come true. 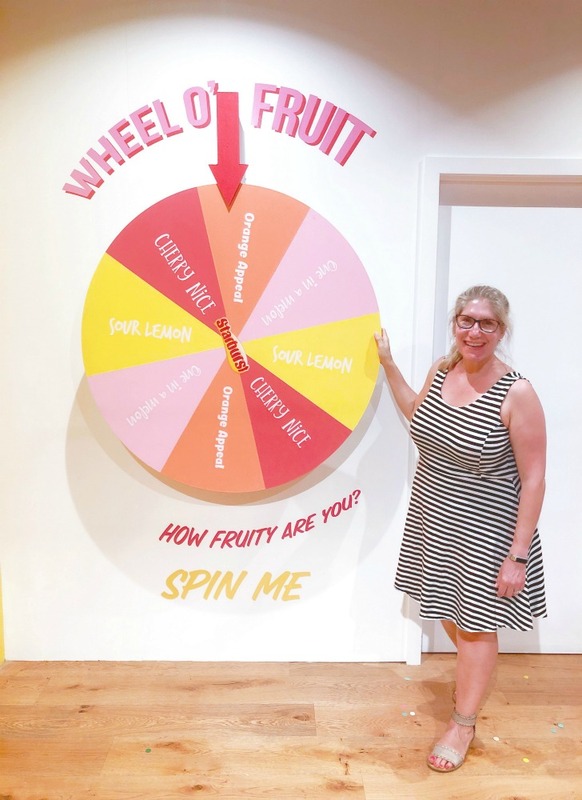 There’s a fruity feel as you enter this sweet space, with a totally outsize bunch of bananas, a strawberry stand and my personal favourite, the Wheel O’Fruit. Don’t forget to take a spin and then take some candy from one of the sweet staff – they have so much to share! I grab some licorice bullets and am off on my merry way. Talking of the staff, they’re a dedicated bunch and are totally committed to making sure you make the most out of this sweet experience – they’re more than happy to take pictures and know how to get the best shots. Don’t be afraid to ask for help – they’re keen, keen as jelly beans! I get pretty excited in the cake room and because I get to pop out of a life sized birthday cake. Life goals right there! There’s also a neat little baking display and when you press the button, out comes the confetti. It’s just so much fun! 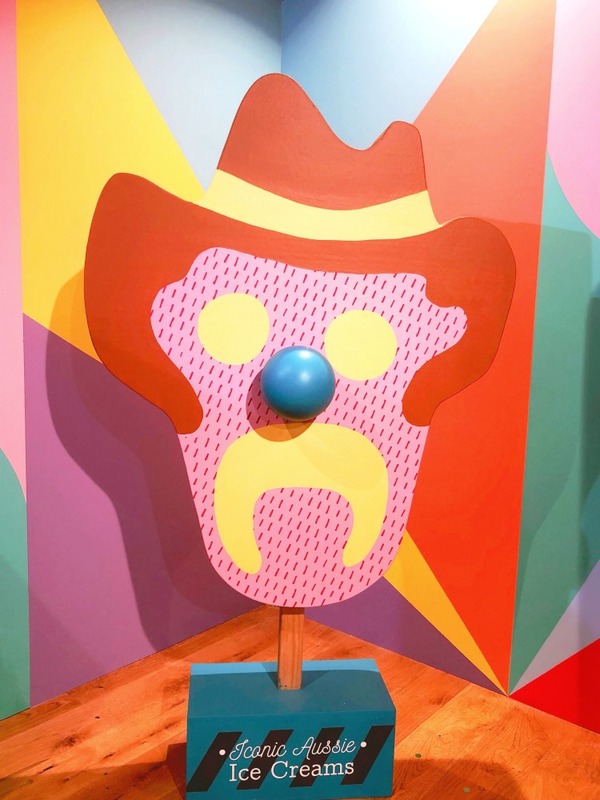 I loved the ice cream art in Melbourne last year but in Sydney Bubble O’Bill has had a 3D makeover and he’s looking mighty fine. The models of iconic Aussie ice creams (including Golden Gaytime and Paddle Pops) are just the business! I love a good bridge situation – the Harbour Bridge will always be my first bridge love but this sherbet rainbow bridge definitely comes a close second. I take a minute to appreciate both the meaning of life and the awesome that is the giant inflatable freckles! 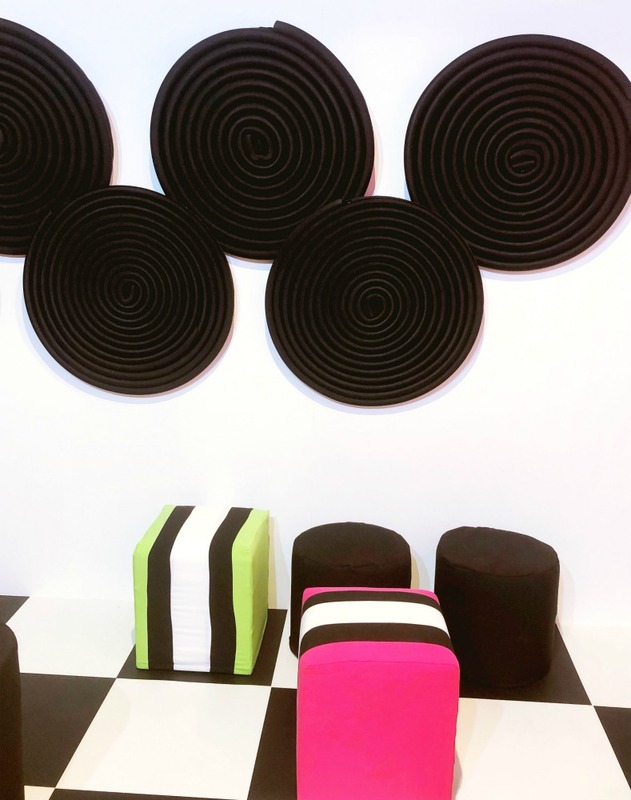 The licorice play room is one of our favourites. 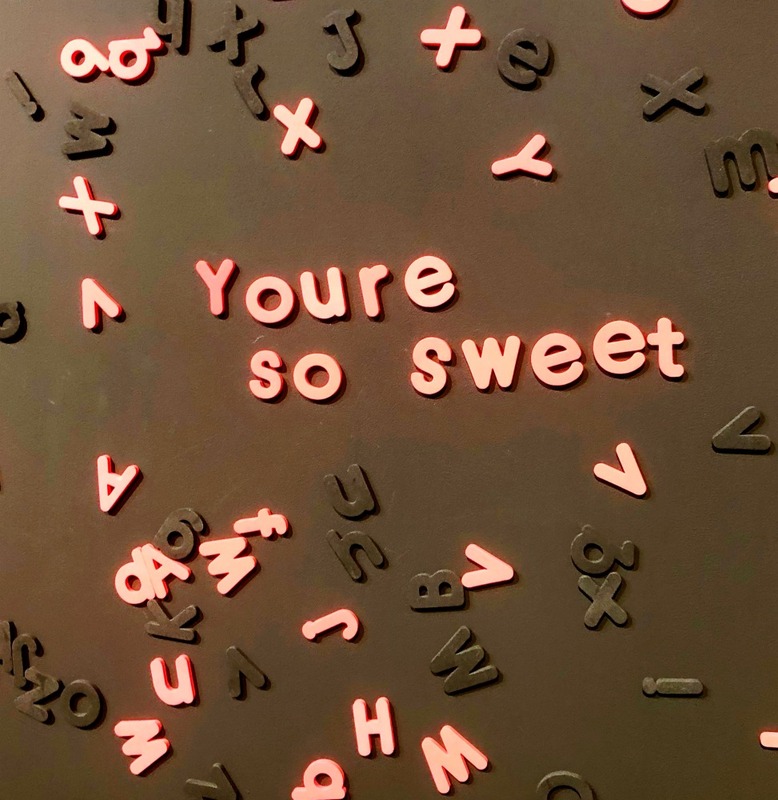 We love the licorice inspired decor, playing with the magnetic letters and all the licorice facts. It should be noted that Sugar Republic is also an educational experience because I now know how to say licorice in 5 different languages! 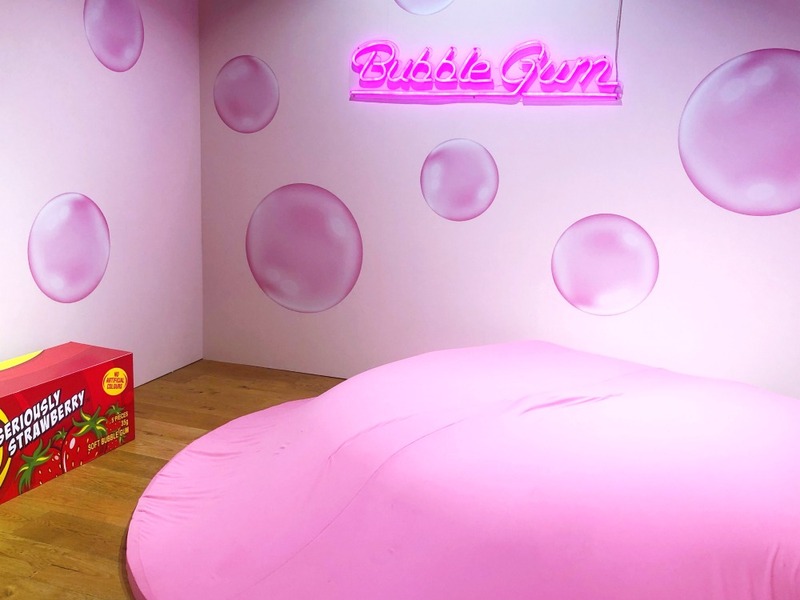 Jumping on the bubble gum is actively encouraged but only if you’re not wearing shoes and are wearing socks. 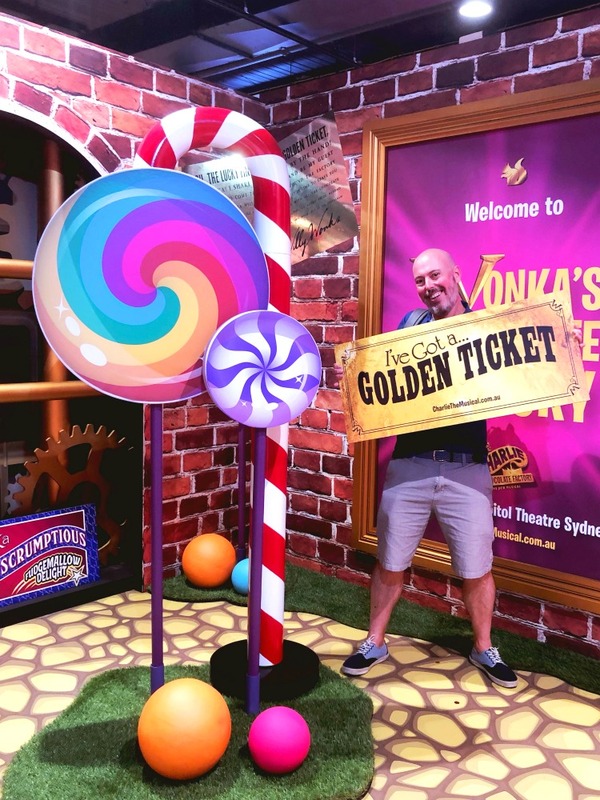 Charlie and the Chocolate Factory is still one of my all-time favourite books so I am pretty excited about finally getting my hands on a Golden Ticket. Clearly, I’m not the only one who finds this situation pleasing! Incidentally, the stage production is coming to town. I will have to get tickets, even if they’re not golden ones! Don’t miss the Arnott’s Biscuit House where the walls are decorated with (faux) Tim Tams and Iced Vovos. It’s like a biscuit version of Hansel and Gretel’s house on speed. 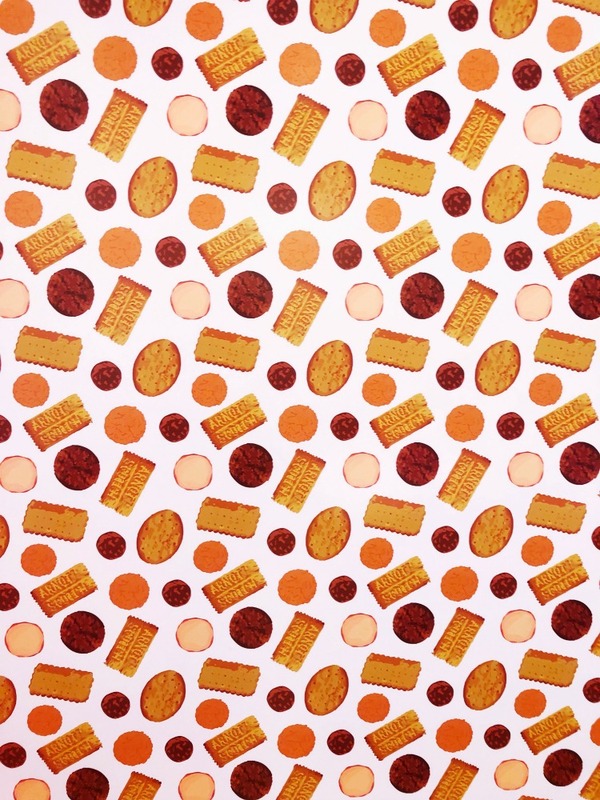 With biscuits everywhere (even on the wallpaper) it’s basically my dream home! 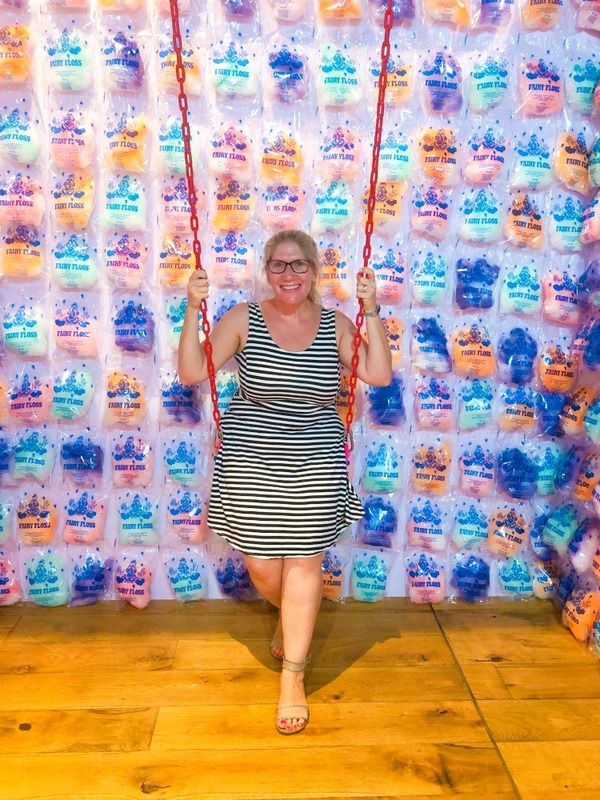 I’m rather partial to a sweet swing, remember this one at the Museum of Ice Cream? The fairy floss swing at Sugar Republic does not disappoint nor does it buckle under my weight. Phew! 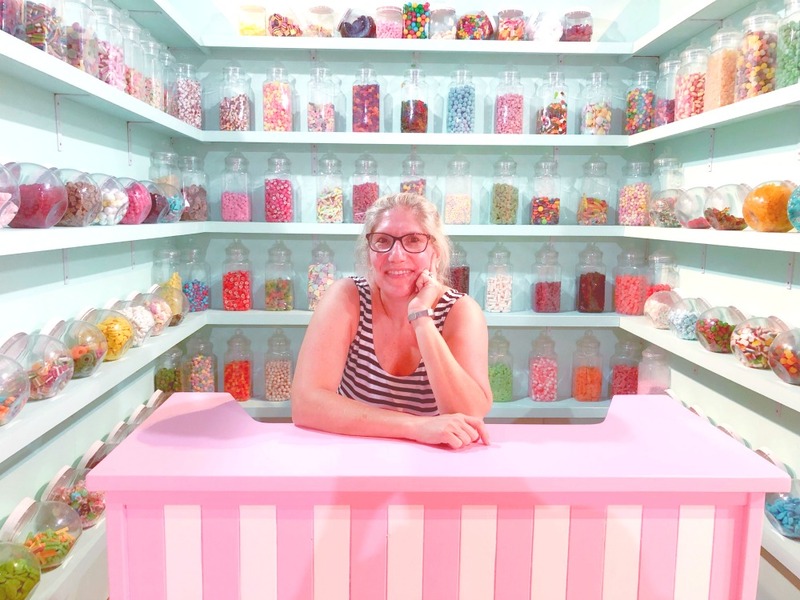 I pop into the olde fashioned lolly shoppe and after gazing adoringly at the delicious lollies in the jars, I finally realise what I want to do in life… Work in a sweet shop. It’s my happy place! 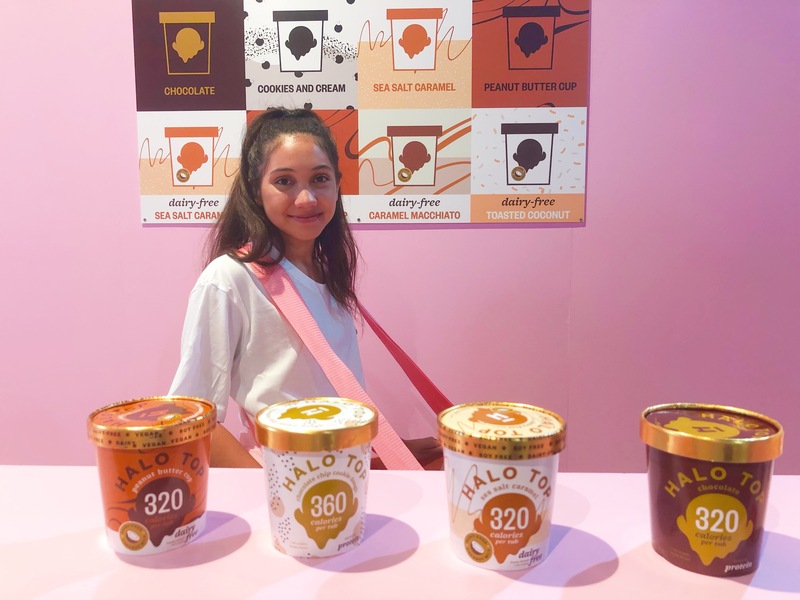 It’s time for a pit stop and a cool down with some ice cream at the Halo Top Ice Creamery. Halo Top is currently Woolworths best-selling ice cream and the flavours here at the Creamery rotate daily (with some dairy free options.) Ranging from 320-360 calories per tub, I’m thinking that this ice cream could make 500 calorie fast days a whole lot more delicious! Can you imagine eating ice cream for breakfast, lunch and dinner with a few carrot and cucumber sticks for snacks?! 5:2 diet aside, this ice cream is quite delicious. My salted caramel doesn’t pack quite the punch I expected but David’s cookie dough is spot on. Word on the street is that Birthday Cake Halo Top (with sprinkles) is hard to beat! At Sugar Republic, everything is dandy as candy but really they save the best til last. The candy coloured ball pit is totally extra framed by a Sydney-centric neon wall and with city views to boot. To make it fair and fun, there’s a 10 minute time and a 10 minute people limit in the ball pit and it’s a shoes off experience. The ball pit is not especially deep but it can be surprisingly difficult to navigate and I do so with the grace of a fairy elephant but with a smile on my dial. Whatever you do, do not leave the ball pit without a photo and if you’re all selfied out, ask the Sugar Republic team to assist, they are more than happy to help out in the photo taking department. 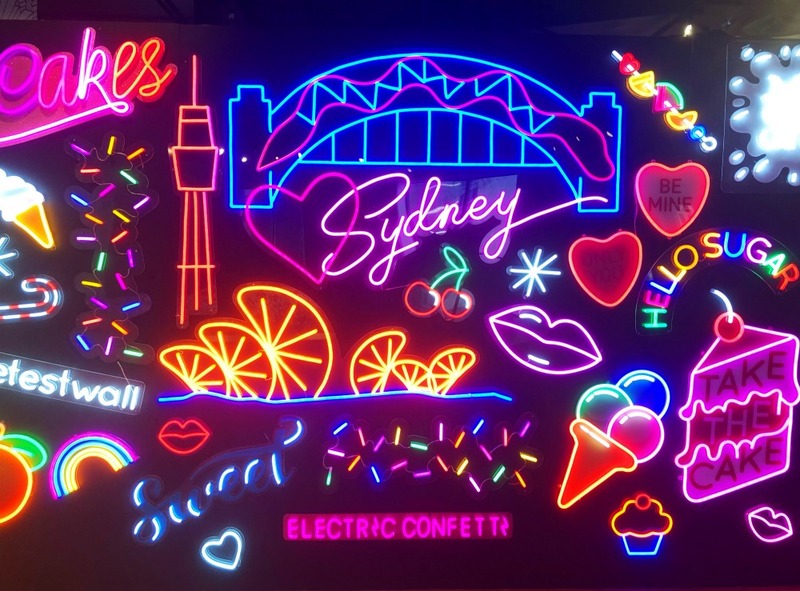 And do take some time to get up close and personal with that neon wall – it really is a sight to behold. When we emerge from our candy coma, there’s balloons for days and the sweetest store. I think it’s actually impossible to leave empty handed. 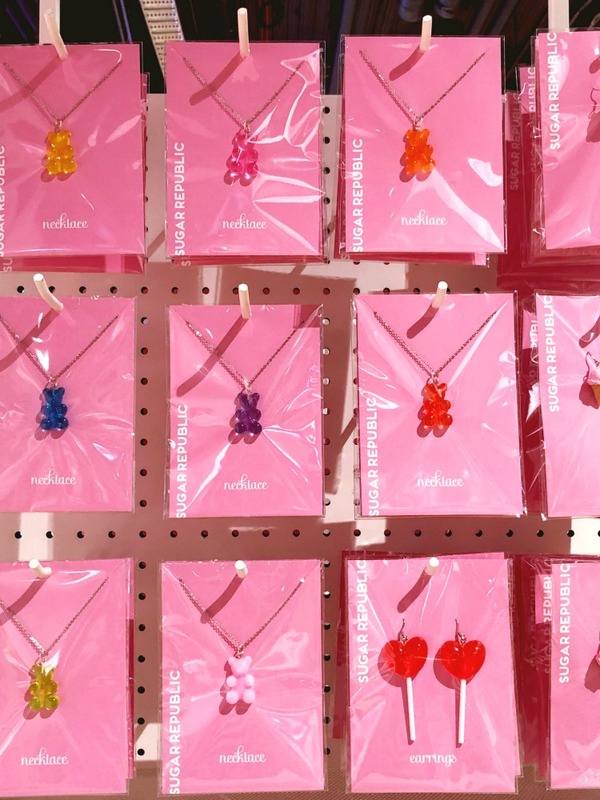 Haven’t you always wanted a jelly teddy necklace? A pair of doughnut earrings? Or how about a wooden stackable burger? The Sugar Republic store has you covered with a unique range of candy themed, retro and Aussie-centric gifts. Like everything else at Sugar Republic, it’s creative, fun and incredibly well thought out. 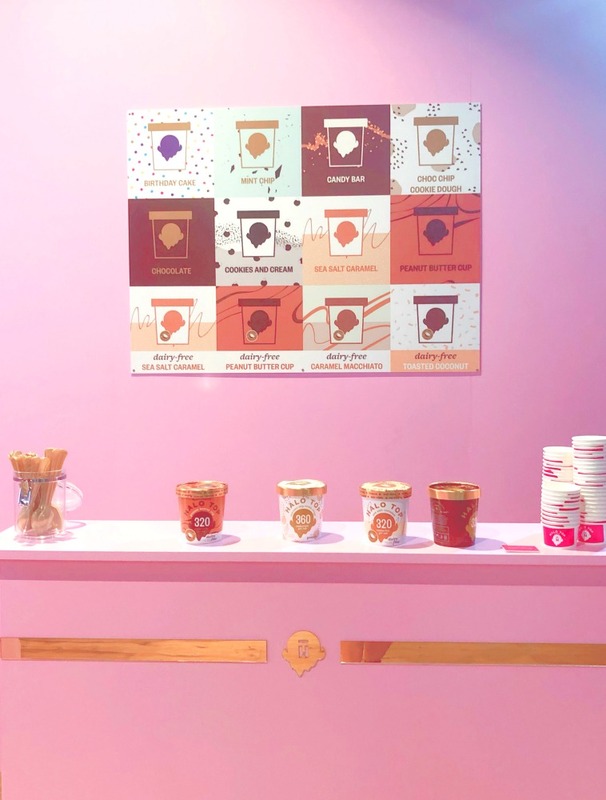 Sugar Republic is so much more than an instagrammer’s dream – it’s a space where enjoying candy, having fun and embracing your inner child are not just encouraged but celebrated. It’s everyone’s happy place! Bring a pair of socks and wear shoes that you can take on and off easily. Pants are best because believe me once you get into that ball pit those balls go everywhere! Of course you can go it alone but Sugar Republic is best enjoyed with friends. If you want this to be an adults only experience, choose a night session and book a spot after 7pm. Tickets need to be purchased online and in advance. 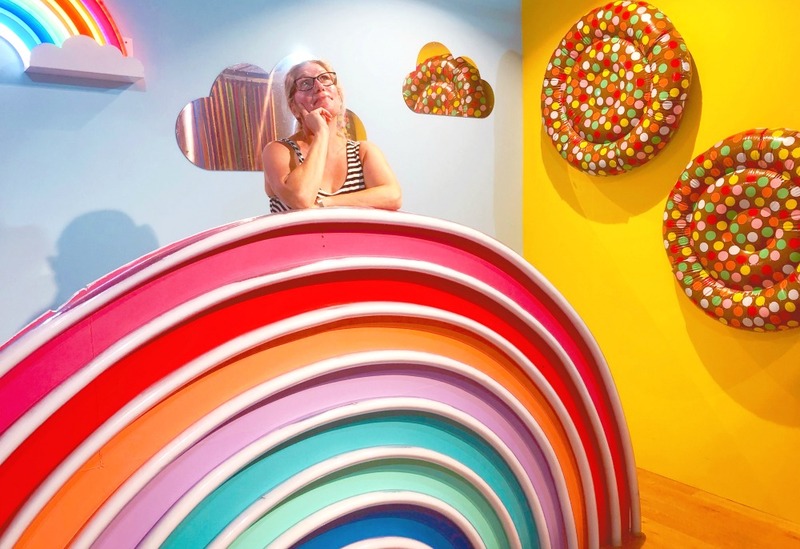 Once you’re in this colourful candy covered world, you can go forwards and back through the installations as you wish. Allow about an hour for your visit and save some stomach space for the 3-4 candy tastings! Don’t forget to bring (and charge) your camera and try and visit at off-peak times for the lowest traffic. Remember, no Sugar Republic is the same so if you have been to one, you have definitely not been to them all. 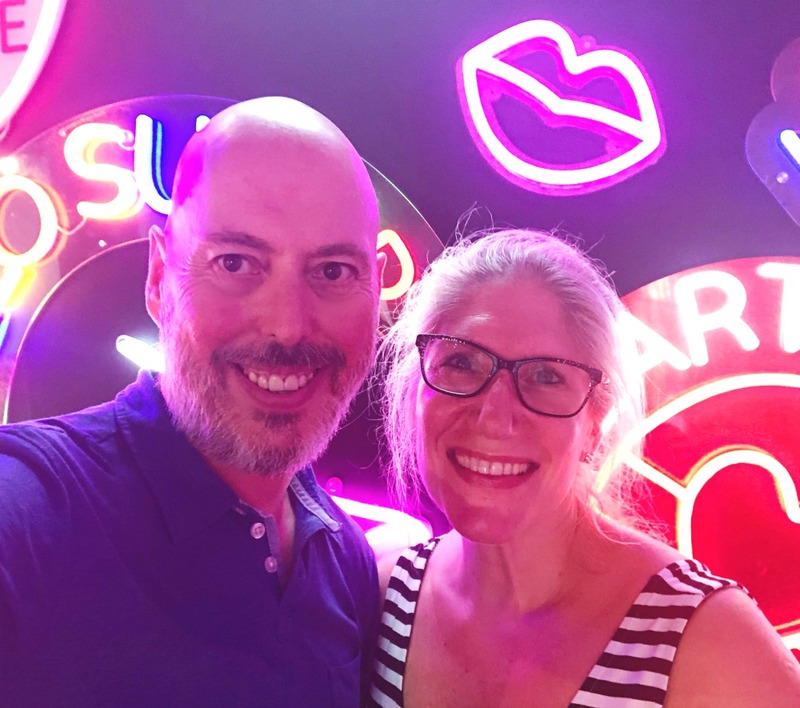 We were guests of Sugar Republic but as always all opinions are honest, and my own.